Islamist rebels continued to make gains in northern Syria Friday, taking over a hospital where government forces had been under siege for weeks. 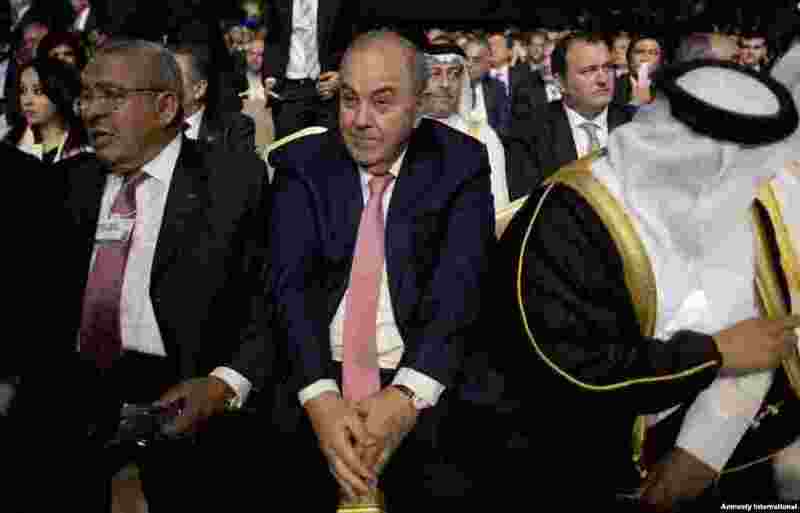 1 Iraq's Vice President Iyad Allawi, center, attends the opening session of the World Economic Forum at the King Hussein convention center, Southern Shuneh, Jordan, May 22, 2015. 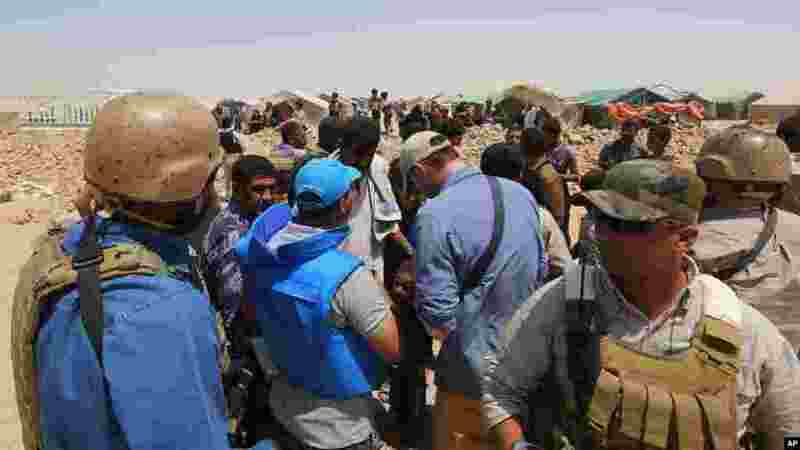 2 UN officials visit a camp set up for displaced civilians from Ramadi and around the area in the town of Amiriyat al-Fallujah, west of Baghdad, Iraq, May 22, 2015. 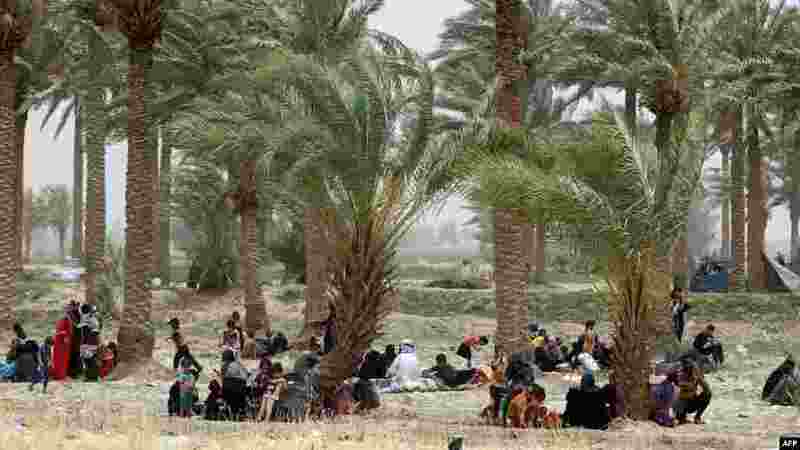 3 Iraqi families, who fled the city of Ramadi after it was seized by Islamic State militants, wait to cross Bzeibez bridge on the southwestern frontier of Baghdad, May 22, 2015. 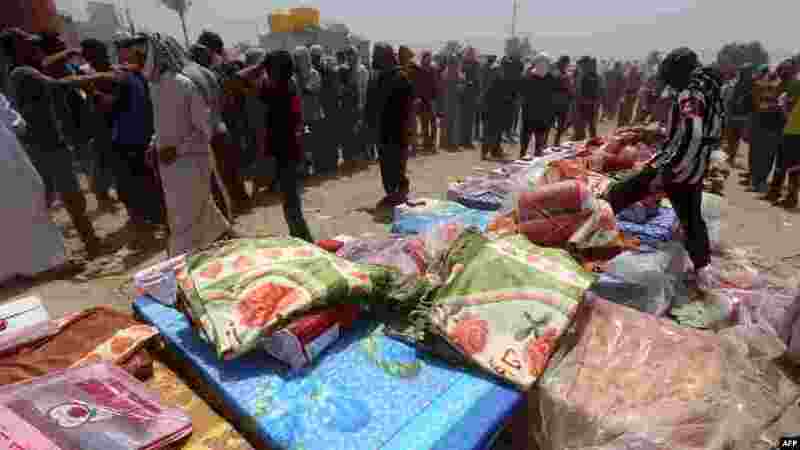 4 Iraqi families, who fled the city of Ramadi after it was seized by Islamic State militants, queue to receive aid at a camp for the internally displaced in Amriyat al-Fallujah, 30 kilometers south of Fallujah, May 22, 2015.